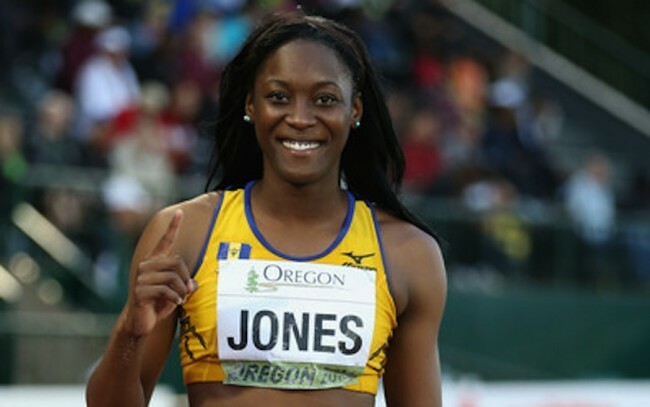 Team Barbados Rio 2016: Akela Jones (Heptathlon & High Jump) – Barbados Olympic Association Inc.
Akela Jones started Track & Field from primary school. From the time she could walk she was running and being around her brothers and growing up around a lot of kids got her heavily into sports. They would play cricket, football, tennis, relay, basically whatever the activity was she participated in it. She made her first national team at the age of 8 at the Caribbean Primary School Championships winning the long jump and 4×100 relay. Akela’s first junior win came at 12 at the CARIFTA games in St. Kitts where she won silver in the U17 High Jump. At her debut NACAC games in Santo Domingo she won two silver medals in the Long Jump and High Jump respectively. Akela’s favourite colour is white all the way! Tevin Campbell is her favourite artist and the saxophone and steel pan are her favourite instruments.